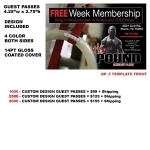 Guest Pass Health/Fitness 17 - 4.25 x 2.75"
UV Coating For 14pt. Gloss Coated Cover, UV Coating will be applied to the color sides, unless No UV Coating on Back is requested or if back of guest pass has a writing area. 4 color, 1 or 2 sides. Add to your collection boxes, lead boxes. 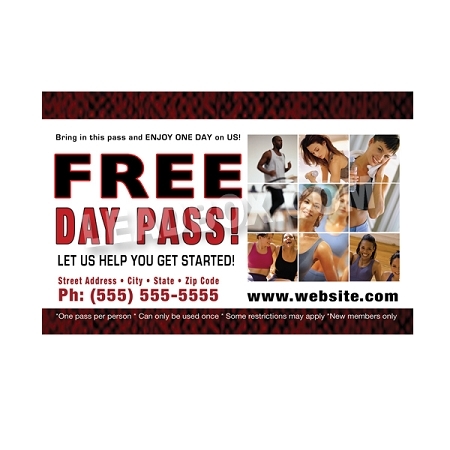 Now you can give your prospect the option of filling out the lead slip or having them take your guest pass. 1. Order item number and choose quantity. 2. 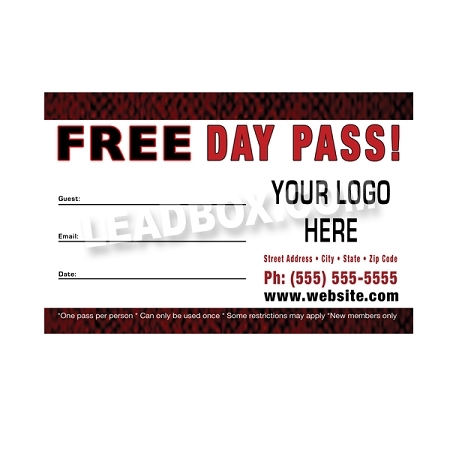 Email info@leadbox.com your logo, text, offer etc.. Be sure to put name of business in the Subject line. 3. You will receive an email confirming that we received your info. 4. You will receive a proof of your design within 48hrs. Once confirmed we will take to print. Allow up to 7 days for printing.